Wooden Gavel With Earth PowerPoint Templates And PowerPoint Themes 0912-"Microsoft Powerpoint Templates and Background with lawyers hammer, dollars and earth model"-"Lawyers hammer,dollars and earth model, global, finance, business, law, travel" Start a company with our Wooden Gavel With Earth PowerPoint Templates And PowerPoint Themes 0912. Just download, type and present. 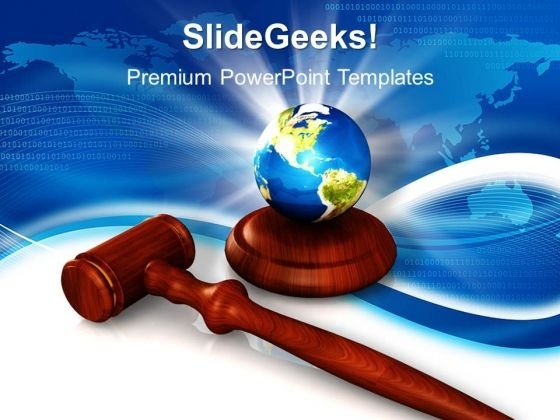 Engineer growth with our Wooden Gavel With Earth PowerPoint Templates And PowerPoint Themes 0912. Download without worries with our money back guaranteee.